Brosna Gaels captain Trevor Phelan lifted the Fr. 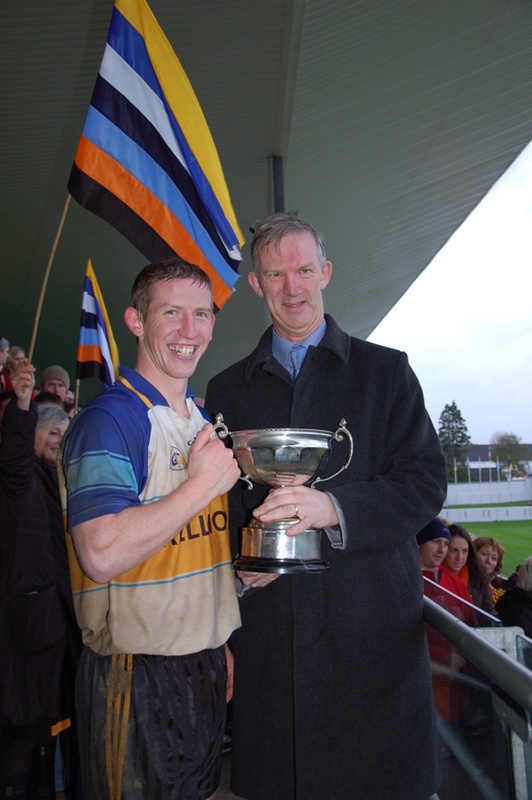 Carey Cup in O’Connor Park last Sunday as Brosna Gaels became Intermediate champions for the second time. The Player of the Year, was awarded to Karl Daly, for his dedication and commitment throughout this year. Man of the Match, as selected by local press was awarded to Chris McDonald. Many thanks to James and all in Ennis’ for sponsoring these awards & for their hospitality and continued support through this and every year. We greatly appreciate your support. Many thanks to all the supporters & parents throughout the year, especially those who braved the elements on Sunday. Many thanks to all our generous sponsors, James Ennis, Sean & Dora Corcoran of McDonalds Athlone, Egan Bros. Construction & all those who sponsored & support us financially throughout the year, We greatly appreciate your loyalty especially in their recessionary times. Thanks also to Erin Rovers, Doon, Ballycumber & Tubber GAA clubs for their support and use of their facilities throughout the year. Brosna Gaels will play St. Patrick’s of Wicklow in the AIB Leinster Championship at Pairc Dunbar in Wicklow Town at 2:30pm on Sunday 30th October. A supporters bus will be travelling, anyone interested can contact Elvis Wynne on 087 6746535 by Wednesday. Brosna Gaels will be sporting new Jerseys for our Leinster campaign, we would like to sincerely thank Egan Bros. Construction for sponsoring our new jerseys. 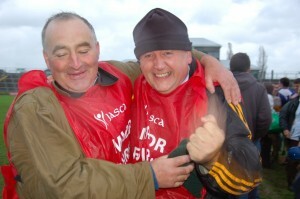 Belated birthday wishes to manager and Treasurer Ciaran McDonald who celebrated his birthday recently.